According to relevant departments in Sanya, a world-class leisure fishery resort will be built in this seaside city by 2020. 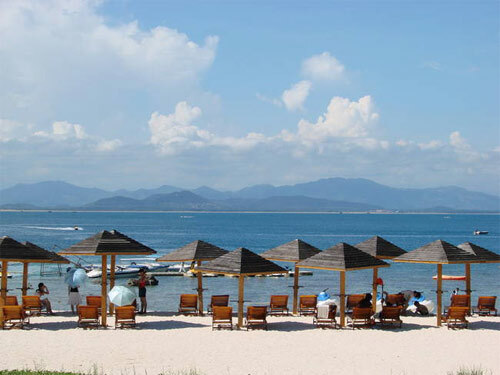 Meanwhile, Sanya will be the first city in Hainan to develop leisure fisheries, reports travel.10yan.com. In the related construction plans, the leisure fishery resort in Sanya is expected to reach the advanced level in China by 2015. Furthermore, by 2020, it will be in a leading position in the country while it will also become a world-class leisure fishery resort. In addition, the plans also bring forward the projects to be constructed within the resort, which includes a sightseeing route at sea, Ximaozhou Island leisure centre, Wuzhizhou Island recreational fisheries, shopping street for aquatic products, seafood streets and several leisure fishery centres.